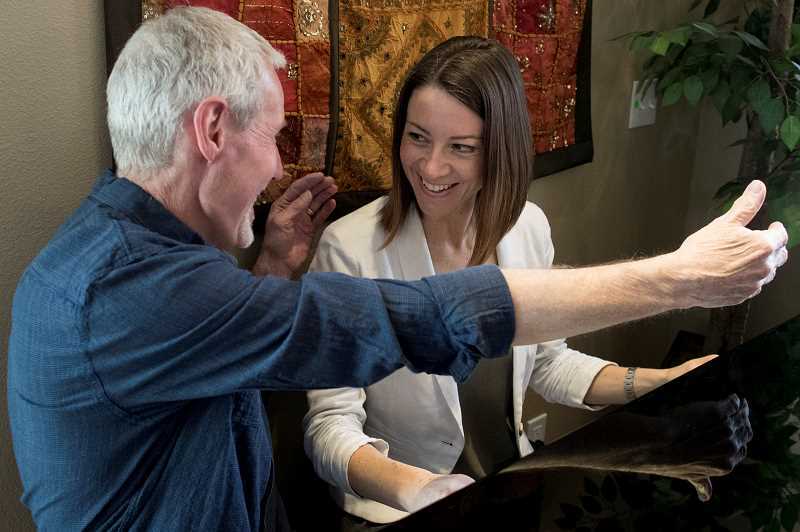 As the elegant notes emanating from his living room piano wash over him, Villebois resident Steven Goodwin moves closer to his wife, Joni, and places his hand on her shoulder. The two gaze into each other's eyes as the notes grow louder and more triumphant. Steven wrote the song for Joni on her 16th birthday, and when he first played it for her over five decades ago, she couldn't help but fall for him. For the Goodwins, music and love are inextricably linked. And pianist Naomi LaViolette could feel that connection while playing Steven's songs. "It's almost like the love that is present in this marriage is starting to just ... between me and the piano creating it (the music), I feel it. And that's really wonderful," LaViolette said. Due to early onset Alzheimer's disease, Steven no longer can play most of the 40 or so songs he composed, but never wrote down or recorded, over his lifetime. But through years of effort, his daughter Melissa Goodwin's persistence, Joni's change of heart and LaViolette's talent and generosity, the Goodwin family has preserved most of the cherished compositions. To commemorate the completion of the music restoration project and to promote their new album, "Nature of Love Vol. 2," which is slated for release in April, the Goodwins and LaViolette will host a concert In April. Along with Steven and LaViolette, the Oregon Repertory Singers and Grammy Award-winning musician Nancy Rumbel will perform at the event. "This project has really been a huge part of our lives over the past four to five years. We're recognizing that we've completed that music rescue mission, and it's a really special way to commemorate the miracle that Naomi and my dad have pulled off," Melissa said. Though he played the piano as a hobby, Goodwin's career was in computer software programming. Suddenly, about nine years ago, the tasks that were once rudimentary became confusing. "I had been taking care of all my clients all this time and started getting kind of frustrated," Steven said. "'I don't remember how to do this. What's going on here?'" 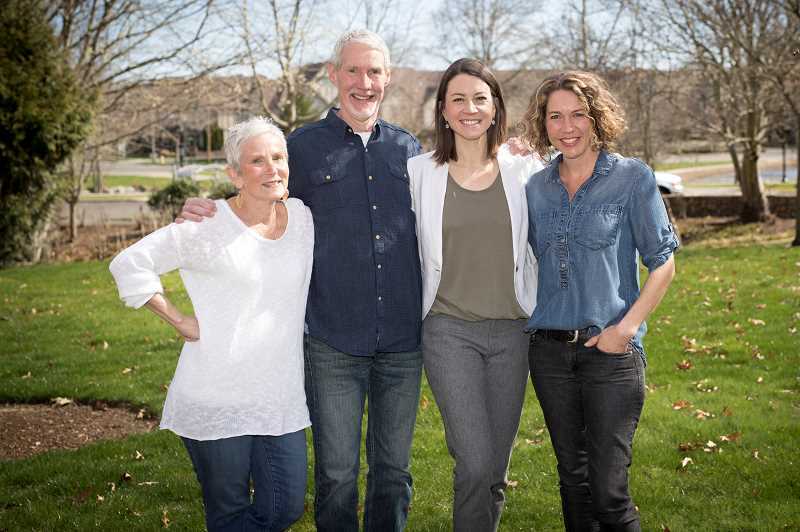 After Steven was officially diagnosed with Alzheimer's in 2012, when he was in his early 60s, Joni decided to keep it a secret, only telling her daughters, Melissa Goodwin and Kristen Policy. Melissa remembers regularly falling asleep to her father's tunes and dancing to them in the living room as a child. 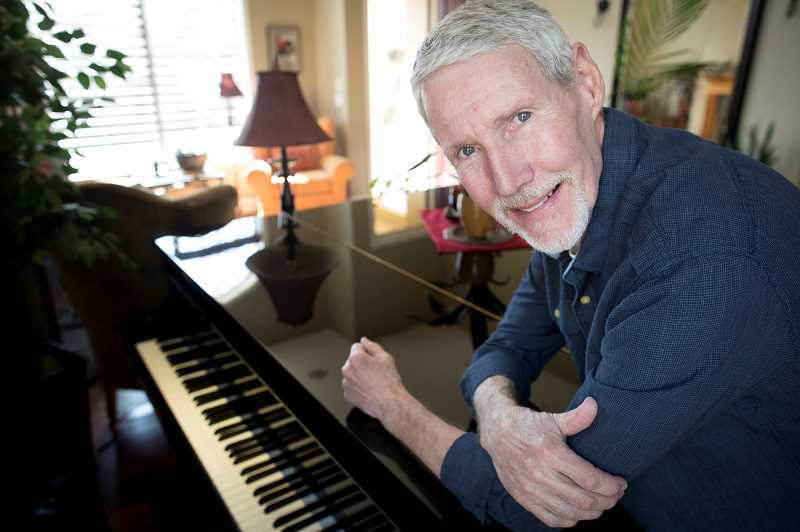 So when the family watched Steven slowly lose his ability to play the piano, they had a devastating realization: Alzheimer's could take not only Steven's brain, but his music, too. "The whole family was shocked with grief. It took us awhile for it to occur to us that with losing him he was going to lose his ability to play music," Melissa said. "The reality of that hit us like a tidal wave because we were already starting to grieve . The thought of losing (not only) this beautiful man, but also his music, which was the soundtrack of his life, was unthinkable." Struggling to grapple with the situation, Melissa broke the family's oath of secrecy, deciding to confide in her best friend — LaViolette. Seeing Melissa's pain, LaViolette, a pianist for the Oregon Repertory Singers who was blessed with perfect pitch, thought she could help. "I've learned music by ear my whole life, and so I thought if it's something I can listen to even, if it's just in little pieces, I can piece it together and be able to play it," she said. However, even after repeated requests, Joni rejected the proposition. She wanted to keep Steven's illness private and didn't think anyone could play the songs with the same bravado as Steven. "When Melissa first spoke with Naomi about it, I was under the impression or mind-set that if you don't talk about it, it will go away," Joni said. But Melissa wasn't going to give up. So she asked Steven to go on a hike with her and then told him about the idea directly. "He was like 'Cool. Let's go for it,'" Melissa said. After Joni reluctantly let them give it a try, LaViolette secretly recorded Steven during the first session and then played a large portion of one of Steven's songs during the next one. The Goodwins were awestruck and Joni changed her mind. "I heard her play and I had tears streaming down my face. I thought 'Oh, my goodness. This is going to happen,'" Joni said. Steven and LaViolette worked together once a week for the first couple years and then about once a month thereafter. They had a few things working in their favor. For one, Steven actually remembered every note of each song in his head and could play bits and pieces of the songs. So when Steven would try to play whatever came to mind on the piano, Joni or LaViolette would record him and Joni took notes to describe which part of a song he had performed. It was LaViolette's job to replicate Steven's compositions — not only the notes, but also the tempo and vigor. Steven then would assign a percentage so LaViolette could gauge how close she was to hitting the right notes. "I would categorize it as she crawls up into my musical brain and finds the broken pieces that I'm trying to put together and says 'I understand where you're trying to go,'" Steven said. Agreeing to help for her best friend's sake, it never occurred to LaViolette that Steven's music would actually be good, let alone outstanding. "The music is gorgeous, so it's very gratifying to play any of his songs. Joni's song, whenever I play that, I get a window into true love, and I feel it when I'm playing it. I can feel it inside myself by playing the music and that's a huge gift, to be able to experience such meaningful art," LaViolette said. After the two had completed a large chunk of the songs, they decided to start a GoFundMe account to pay for access to a recording studio. In turn, they finally began telling friends and extended family what they were working on and of Steven's disease. Around the time their first album, "Nature of Love," was released in 2017, an article in The Oregonian and two CBS specials had put a bigger spotlight on the Goodwins. Joni has realized that the attention and support from others has been a gift, not a curse. She's been gratified by many things: a woman with Alzheimer's telling her Steven's story inspired her to paint again, bands from North Dakota to Lincoln High School playing Steven's music, and many notes and letters from people inspired by the story. "I wouldn't wish it on anybody, but it's part of our story, our love and without this disease ... the hundreds of people that have reached out to me, writing to me," Joni said. "I wouldn't be the person I am today had he not gotten sick." Steven has since received praised from composers in the Oregon Repertory Singers, which included Steven's songs on one of their albums, and from acclaimed composer Morten Lauridsen. "Nature of Love" made the Billboard charts under the New Age category and sold nearly 1,000 albums. "Part of it is 'Wow, all of this attention?' But it's kind of cool but also really gratifying that apparently people like my music," Steven said. Now that the project is complete, Steven has felt spells of melancholy. But he, the Goodwins and LaViolette have stayed busy. Steven is involved in a drug trial to find a remedy for Alzheimer's and LaViolette is working on a project with a scientist at Oregon Health & Science University about music and the aging brain. Instead of struggling to conjure the notes he once crafted, when Steven wants to hear one of his songs, he can just listen to Pandora or Apple Music or ask LaViolette to swing by the house and play them. The music has been preserved. And for that, Steven is grateful. "It's so incredibly gratifying to have this amazing talent in our project. I am so happy that my grandchildren and their grandchildren will be able to hear my music if they want — done exactly the way I composed it," Steven said. "That brings a lot of feeling of gratitude and heart in this project." Editor's Note: The original version of this story used an incorrect name for the Oregon Reperatory Singers.